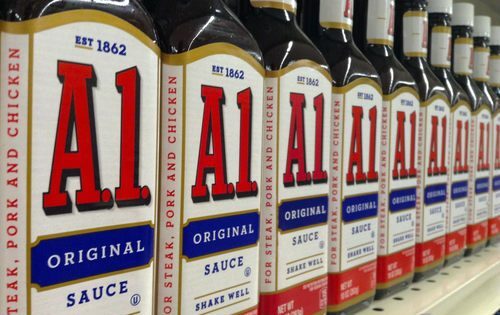 The officially accepted A-1 Steak Sauce History goes back to the 1820’s in England, but is it possible that the famous steak sauce was actually invented in Flagstaff, Arizona? Let’s find out! The widely accepted history of the origins of the A-1 Steak Sauce brand starts in England in the 1820’s. However, there is also a compelling local history that claims the steak sauce could have been invented in Flagstaff, Arizona. First let’s take a look at the officially accepted origin story. In the 1820’s, a man by the name of Henderson William Brand was a chef for England’s King George IV. The inventive chef created a delectable steak sauce for the king and rumor has it that the monarch exclaimed it was A1. Now, the term A-1 in this instance would go back to the Lloyd’s Register, a maritime classification system which started in 1764. Under this system ship’s hulls are rated on a letter basis with A being the highest rating and the other ship components are rated on a numbering system with 1 being the highest rating. So the term A1 at Lloyd’s would refer to a ship receiving the best score, and in common vernacular A1 came to mean the best of the best. Whether or not the king stated that Brand’s sauce was A1 is unknown, but it would make sense that a sauce maker trying to sell his recipe would tout it as A1 quality. In 1831, the chef created the Brand & Co and began commercially distributing his sauce, but by 1850 his brand went bankrupt and the company’s ownership was transferred to W.H. Withall then later purchased in 1873 by Dence & Mason. Henderson William Brand sued Dence & Mason in 1873 over the rights of the name Brand & Co. and so the name of the sauce was changed at that time to A-1. One odd piece of information found on the bottle of A-1 itself is the wording “established in 1862”. This date doesn’t come up at all in our description above so where would it fit into this history? The company that owned the sauce when it was first distributed in the US was called Hublein & Brothers. This company was established in 1862 and it would make sense that they would have placed the established date of their business on their product and that the date would mistakenly be carried forward and misinterpreted as the established date of the sauce. So, this story really doesn’t seem to leave much room for error and it is likely that it is the true root of the sauce. 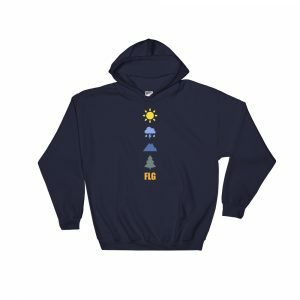 However, just for fun let’s discover the story behind the possible connection between A-1 and Flagstaff. In the late 1870’s a group of Mormon setter’s were contracted by the railroad to supply ties for the approaching construction. The settlers posted up in an area near Leroux Springs and after a time they built a fort for protection. 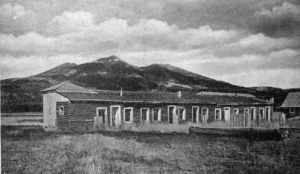 The location of the cabin was called Fort Moroni and the surrounding area became known as Fort Valley. After they completed their obligation to the railroad in 1881, the group started a cattle ranching business called the Mormon Cattle Company, later to be called the Arizona Cattle Company, and their brand was A-1. The volcanic mountain next to the valley is also known today as A-1 mountain. Legend has it that the cowboys of the Arizona Cattle Company likely dined on some of the less desirable cuts of meat in order to save the best cuts for market, and so they would have become quite inventive with their seasonings. According late Flagstaff historian Richard Mangum, one of the cowboy cooks came up with a sauce that was strong enough to cut through the rank taste of the meat and that it was a hit among the ranchers at the time. When the cook felt he had perfected the sauce, he took it to the East Coast where he sold his formula to a food manufacturer. 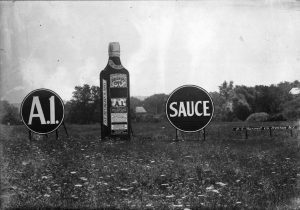 So, if A-1 was first distributed in the US in 1906 could it be possible that sometime between 1881 and 1906 that a cowboy cook from Arizona could have somehow influenced the production of the sauce? It is entirely possible that the Hublein company could have bought a sauce formula from an Arizona cowboy during this time. However, there is one major glitch in this reasoning. 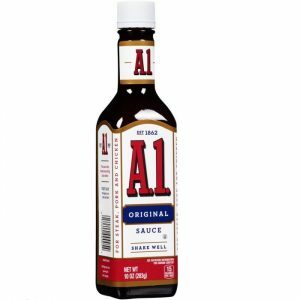 We learned earlier that the name of the steak sauce was changed to A-1 in 1873, eight years before the inception of the Arizona Cattle Company. With everything laid out I have to say that I don’t think it’s likely that the A-1 steak sauce was invented in Flagstaff, Arizona, but perhaps in some way this inventive chef influenced the formula of the sauce that would ultimately be distributed in the US. Well, again probably not… but it’s a good story anyway! Do you have a story like this about the Flagstaff area that you would like to share with us? If so, please share in the comments below or shoot me an email. Don’t forget to head over to YouTube and subscribe to our channel, and until next time, keep exploring my friends!